So let's continue to be inspired to make some gorgeous sugar decorations that you can store and use up to 6 months later! As you can see by the header photo I am so excited to say that I have twisted this into a Christmas theme!! Please ensure that you have read Part 1 Using Butterfly Cutters as I will not be repeating the basic step of using a plunger today, and of course it would only be logical to recommend checking out Part 2 Using Snowflake Cutters. Each part comes with new hints and tips so don't skip ahead! 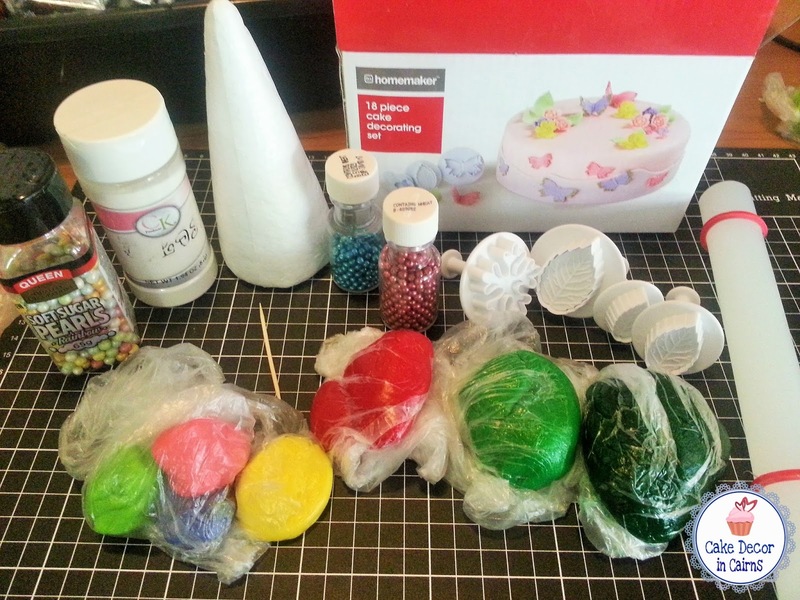 Get yourself set up with today's cutters, a mat, rolling pin, corn flour, CMC/Tylose treated fondant in your colour choices, and edible glue. Sugar Pearls in your preferred colours OR make your own balls with coloured fondant using my top tip to make even sized pearls. Got it? Let's have some sugar play! The fourth set from this fabulous box is the rose leaf cutter in three different sizes. (The most popular style leaf cutter on the market.) It's a pretty straight forward design, it makes a leaf - but it's what you do to these flat cut outs that can bring life to your design. I like to give my leaves some dimension. After cutting out, pinch the bottoms of each leaf together and /or drape over formers to give them some shape whilst drying. Since it's almost Christmas I thought I would bring a festive twist to the leaf party! 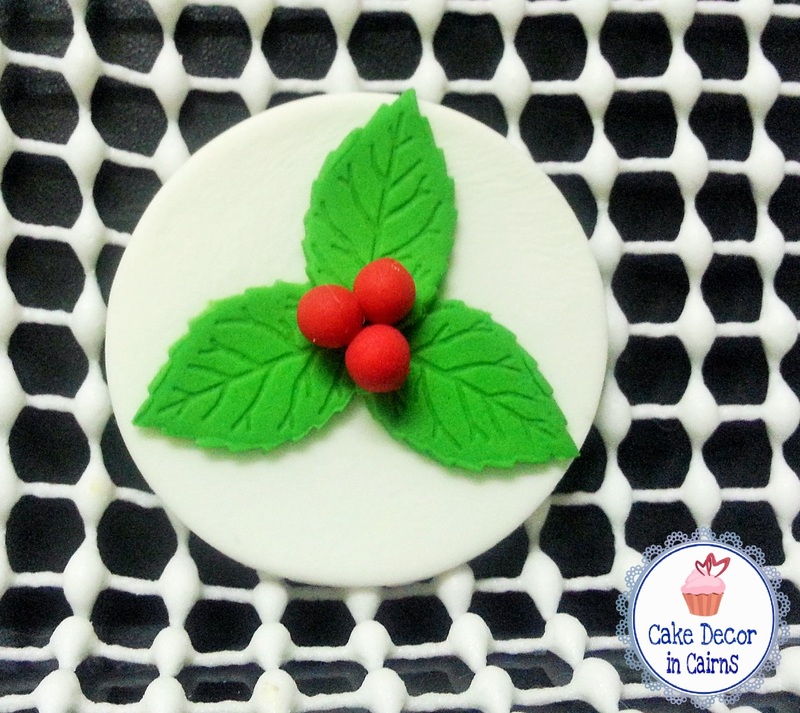 Simply cut out a fondant circle and glue your leaves on with edible glue. Here I have added hand rolled fondant pearls. No Holly Cutter? 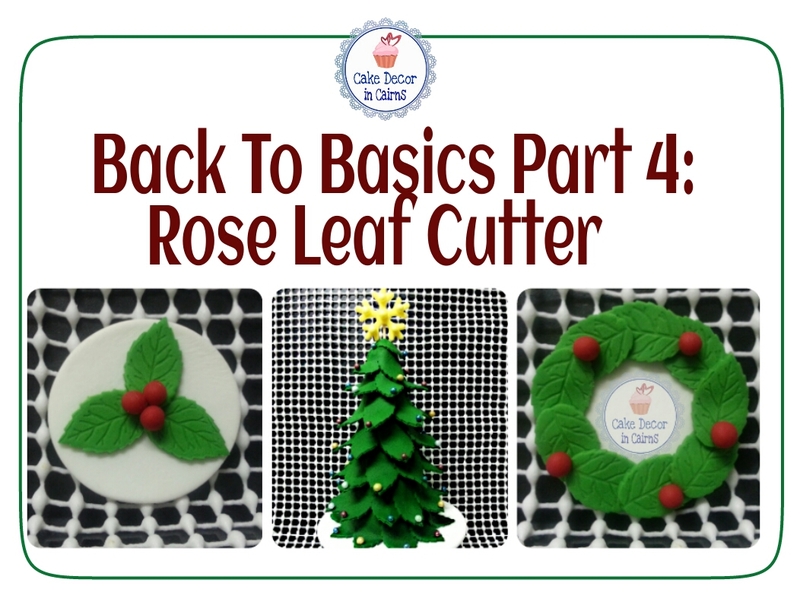 Well why not try my Rose Leaf Cutter version! It's just as effective and saves you money and space buying yet another cutter tool! Okay so those toppers look great right? Well if I have gotten you a little excited about Christmas now and you're thinking you want MORE, check out my Christmas tree!! I have to say I am pretty proud of my little sugar tree! It brings back childhood memories of making paper versions at school. A few years ago I stumbled upon the absolutely cutest craft blog Smiles From Mel, and made several paper trees! But now that I am into edible decorations, I thought I would have a go at transforming Mel's paper tree into a fondant one! Check it out! Make your star first so it has time to dry. For this series I am using a snowflake cutter from the Kmart set - but of course if you have a proper star cutter you can use that instead. Cut out 2 snowflakes, brush cmc glue on a toothpick and stick on the back of one of the snowflakes. Then place the second snowflake directly over the top. Use some sugar pearls to dress it up. For the tree, I chose a mini cupcake stand as my work surface. To prevent in getting stuck, make sure you dust your surface with corn flour first. Use a thin brush of edible glue on your Styrofoam cone. Using the largest cutter, cut out and attach each leaf as pictured, ensuring that you alternate the position of the pointed leaves. 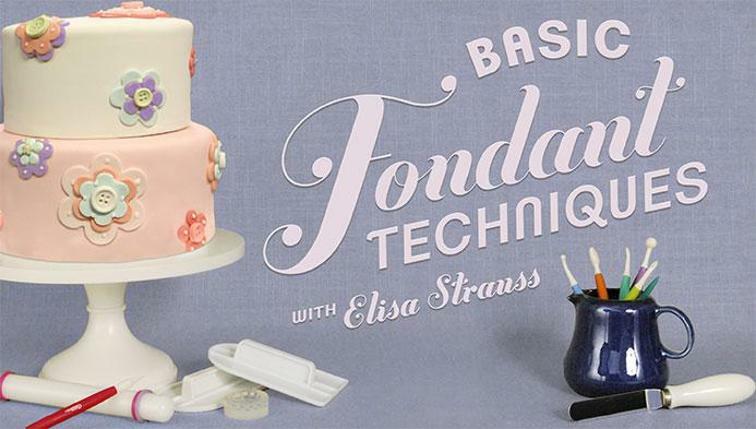 Next step, a technique commonly used in fondant ruffles, insert toothpicks pointing downwards, gently lifting the leaves. It's important to do this at each row or your leaves will dry too quickly and start to crack when you attempt to lift them. For the last two rows use the medium sized leaf cutter and over lap at the top. Instead, glue them on while your leaves are still slightly soft, this will enable the balls to make a little indent in the leaf tip which will help keep them in place while the edible glue is drying. Once your tree is dry, gently remove all the toothpicks and Voilà! 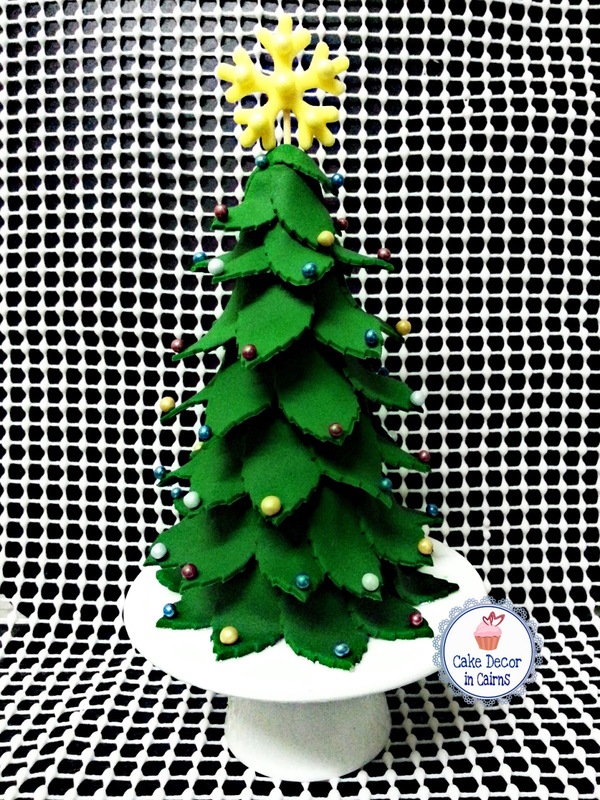 You have a cute fondant Christmas tree topper to place on your cake or as a centre dessert display! That concludes Part 4 of My Back to Basics Series! Keep an eye out for Part 5!